Ehsan, Dylan and I arrived safe and sound in Guatemala City at 6:25 this morning. All of our supplies made it intact, and we we're able to get everything through customs after giving the customs officials a demonstration of the OpenSocket. We spent the rest of the day preparing, and staging for our work this week. This included a trip to Wal-Mart in Guatemala City for food, and some bedding materials. While Wal-Mart in the United States is known for low prices, in Guatemala the main clientel is upper-middle class families. We crammed all of our OpenSockets, tools, food, and bedding into Jonathan's one-room apartment. Jonathan's apartment will be our main base of operations for the next few days. 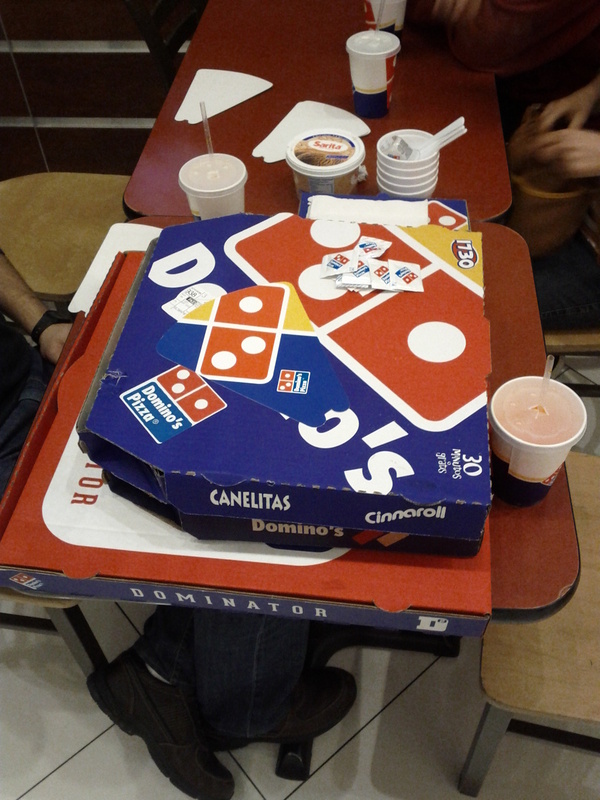 For dinner, we grabbed some awesome Dominos pizza and Ice Cream. Check back tomorrow for more updates from the field.